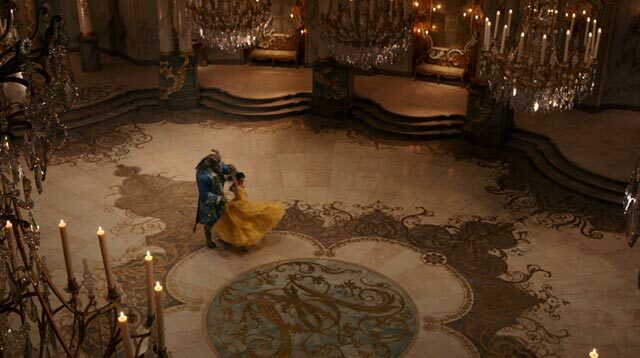 If you've seen the most recent remake of Beauty and the Beast, then you know that the iconic Disney introduction scene was done with the Beast's castle. Even in the dark, it still looked pretty spectacular so you can't blame me for wondering, "What does it take to live in a place like that?" Yeah, I'm talking about M-O-N-E-Y. But as much as I want to believe in magic, I'm probably never going to rule an entire kingdom, so googling the cost of buying my own castle is purely for the love of research and all things Disney. Coinage did all the heavy lifting and estimated that the Beast's 90-acre, 60-room fairy tale French castle would cost $15,881,205 or P795,600,727. But, as we all know, the best part of having your own space is being able to decorate it. Buying a set similar to Mrs. Potts and Chip—like a 60-piece Lenox West Chester china set—would cost a little under $5,000 (P250,485). Unfortunately, Lumiere can't light up all of our homes, so replacing him with two candelabras would mean you'd have to shell out $7,000 (P350,679). Let's pretend that your candelabras will be too lonely without someone like Cogsworth, though; an 18th-century pendulum clock would set you back around $11,000 (P551,067). And because we're not a nudist society (and we're ~*obsessed*~ with shopping), we just have to have a closet. Well, Belle's stunning wardrobe is also $5,000—with that price tag, we hope you find one that sings, too.